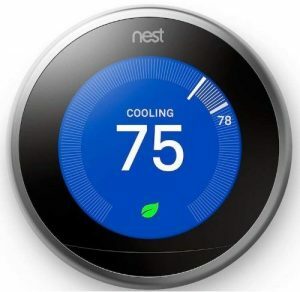 Smart thermostats are increasing in number. If you’ve ever thought about getting one for your home, you’re in luck because your options are no longer limited. You will be able to find a smart thermostat that fits your preferences exactly if you look for one look enough. We want to make that search even easier for you though, and that’s why we will discuss two of the top smart thermostats that are currently available at length in this article. The Ecobee3 vs Nest matchup will be the one highlighted in this article. After reading this article, you will know more about the key selling points of both smart thermostats, and you’ll also be able to work out which one is a better fit for your home. Ecobee3 vs Nest Learning Thermostat: Which Should You Buy? What Qualifies a Smart Thermostat for Energy Star Certification? The Ecobee3 and the Nest Learning Thermostat both do a great job of regulating the temperature inside your home, but when taking all the features into consideration, I grew to like one of the items more. Saving on my energy bills matters a lot to me, and for that reason, I am choosing the Ecobee3. The Ecobee3 makes it easier for you to maintain an energy-efficient home, and your wallet and the environment will thank you for that. 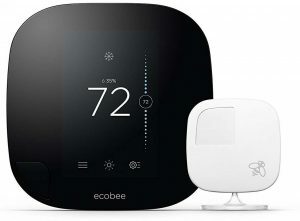 With the Ecobee4 now available, it’s easy to overlook its predecessor, but the truth is that the Ecobee3 is also a great example of a smart thermostat. It begins with the Ecobee3 sensors. 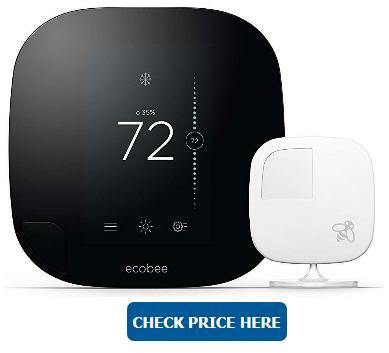 If you’ve heard anything about the Ecobee thermostats, then you likely know at least a little about how good their sensors are. These sensors are able to accurately read a room’s temperature and it can also tell if there are people currently inside of it. You can rest assured that the sensors are indeed as good as advertised, and as long as you arrange them properly, they will work splendidly and provide adequate temperature control for you and your family. Also, count on energy reports arriving at regular intervals. You can then use these to determine if you need to make additional adjustments to increase the amount of money you’re saving on a monthly basis. Ecobee3 and Alexa work together, but if you’ve read an Ecobee 4 review, you likely know that the aforementioned virtual assistant features greater functionality in that newer thermostat. Even so, Alexa functions well enough with Ecobee3 that you won’t be longing for those additional features. This Ecobee smart thermostat may not have as many cutting-edge features as the newer items on the market, but it still possesses the capability to work exceptionally well inside your home. The Room Sensors are top-notch and they will ensure that the temperature you want will be present in whichever room you occupy inside your home. The Vacation Mode feature is highly useful. It’s the kind of feature that you will be thankful to have during the holiday season as it will allow you to further maximize your savings. You can use Ecobee3 with SmartThings. That will come in very handy if you already have different items in your home that make use of the SmartThings hub and app. The installation will take no time at all. You can expect to be done with it in under an hour. It lacks some of the latest features that are included in the newer smart thermostats. Because of how sensitive the main thermostat is, you may experience some trouble with trying to get the Room Sensors lined up with it at times. The third generation Nest Learning Thermostat wants to make it easier for you to always have the ideal temperature in your home, and it does so by carefully understanding and interpreting your preferences. It doesn’t take long for this thermostat to gain a good grasp of what you prefer with regards to the temperature levels inside your home. In about a week’s time, you should find that it has already made the adjustment, and you will be left pleasantly surprised. Also worth pointing out is the easily readable display featured by this smart thermostat. It was a good idea on the part of Nest to focus on making their user interface easier to work with because that means more people will be able to have this device inside their home. As you would expect from an Energy Star-certified smart thermostat, this Nest offering will tell you how you can improve the energy efficiency of your home. It doesn’t take that much time to make the necessary adjustment suggested by this smart thermostat, but even so, that is the kind of task that you want this device to take care of on its own. The designers overlooking that flaw does little to diminish the appeal of the Nest Learning Thermostat though. It’s a bit more expensive than the Nest Thermostat E, but you’re still getting great value if you choose to purchase this item. You can easily use Nest thermostat because of the Farsight feature that makes the display easier to read. The display makes this smart thermostat great to have in a home occupied by older individuals. The designers tout the ability this thermostat has to pick up on your preferences, and you’ll see that ability in action for yourself not long after installing this device. Speaking of install thermostat, that particular process will not take that much time. You should be able to have this thermostat up and running in less than an hour. This smart thermostat works remarkably well with Alexa. This Nest thermostat is capable of handling numerous tasks on its own, but if you want to ensure that you take full advantage of its energy-saving features, you will have to make manual adjustments. Nest thermostats are currently not supported by SmartThings. As much as possible, you want the devices in your home to be energy-efficient. One sure way to tell if an item can be described as energy-efficient is to look for the Energy Star label. It is worth noting that the government has specific criteria in place to determine if a particular product is deserving of the Energy Star label, and in the case of smart thermostats the requirements are quite strict. Smart thermostats are given that coveted certification also have to be highly accurate with their temperature readings, and they should become accessible for users within five minutes of the initial interaction. These devices also have to meet strict energy savings criteria. Put it this way, the Energy Star label isn’t just made available to everyone. Companies have to put in extra work to meet the certification standards. What that means is that you’re getting a quality product if it has the Energy Star label on it. As noted in the comparison table, you will find that label on both the Ecobee smart thermostat that is about to be reviewed and also on the Nest Learning Thermostat. The smart thermostat that has emerged victorious from the Ecobee 3 vs Nest clash is none other than the Ecobee3. Ideally, I would love to have the display of the Nest Learning Thermostat but retain all the other features of the Ecobee3, but because that is not possible, I am instead going for the item that gives me a greater return on my initial investment. There are other reasons to prefer the Ecobee3 over the Nest Learning Thermostat. For instance, if you have already grown accustomed to using SmartThings, I am inclined to think that the Ecobee3 would be more appealing to you. These are two high-quality smart thermostats being pitted against one another, but in the end, the Ecobee3 comes out on top.